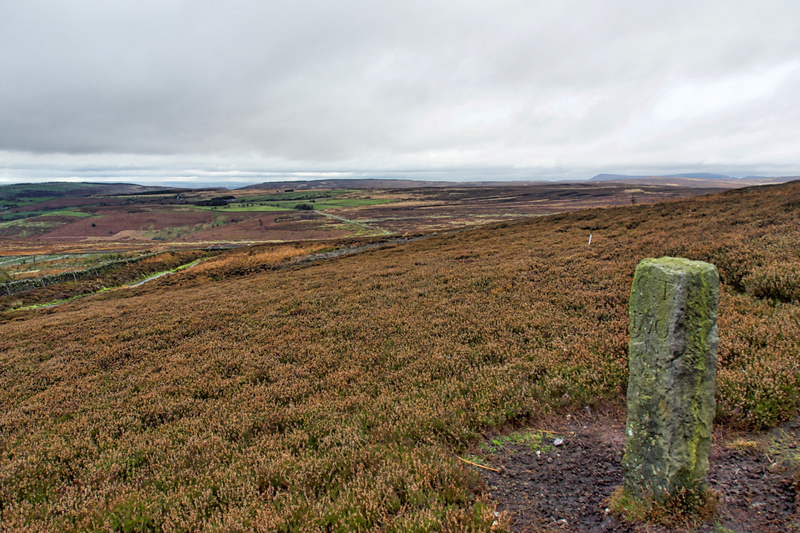 Boundary Stone on the north-west end of Black Hambleton in the Tabular Hills. Inscribed with “C. T. 1770” which probably stands for Charles Tancred whose family had the Arden Hall estate throughout the 18th-century. Below, beyond Oakdale Head or Square Corner, are the lush green fields of Slape Stones (better known as Chequers Inn although no longer a drovers’ inn). In the distance, the sun is shining over the Tees valley while an umbrella of cloud hangs over the moors.